The main difference between a surface coating (paint) and a timber finish, is that a finish allows the natural features of the timber to be seen, while paints typically don’t allow these features to be seen. Both finishes and paint will protect the timber from deteriation and exposure to their environment, provided they are properly maintained. This page will deal mainly with Timber Finishes, as these are designed to both enhance and protect. Timber Finishes fall into 2 main categories, which are film forming and penetrative oils. This type of finish usually leaves a satin or gloss transparent or semi transparent finish. Internally, the most common type of coatings are urethanes, which are typically used on timber floors. These applications can also be used on other surfaces such as architraves, panelling and doors etc. Urethane based finishes can be clear or tinted with pigments, semi gloss or gloss. Externally, coating type finishes are semi-transparent acrylics, that are pigmented for cosmetic reasons and to assist in their UV protection of the coating. These finishes can be used on any external timber surface such as decking, pergolas and cladding. 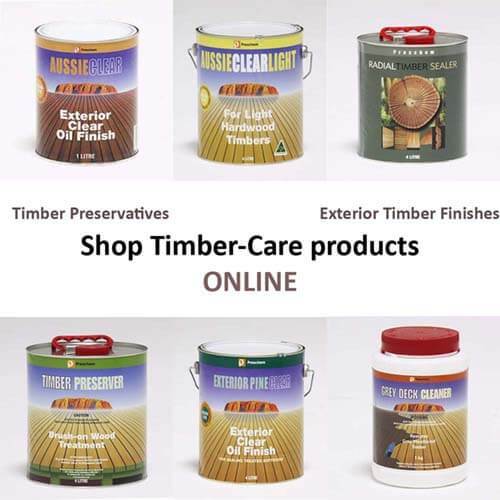 The last category of timber finishes is the penetrative oil and stains. These products leave timber looking and feeling natural, while the oils still protect the timber from their environment. Penetrative oils and stains are formulated for both interior and exterior use. It is important that interior products are not used in an exterior environment, but exterior products may be used in interior situations. The main difference between a penetrative oil and stain is that the penetrative oils have no pigment or small quantities of pigment, while stains are heavily loaded with pigment to drastically change the colour of the timber.